You won’t find it in Washington anymore. Idaho either. 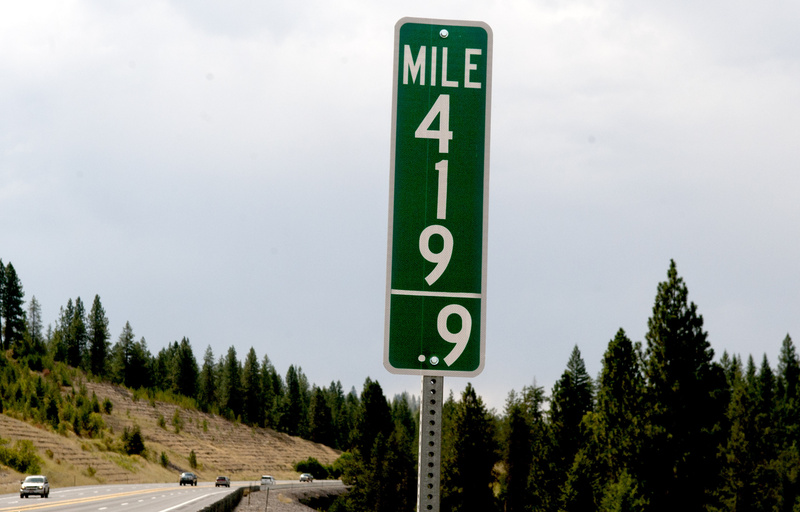 The mile marker, popular among stoners for its drug culture double-entendre, gets stolen so frequently that highway crews now are replacing it with a less-tempting designation: milepost 419.9. “It was a decision we made based on what was happening,” Idaho Transportation Department spokesman Adam Rush said of that state’s recent switch to the 419.9 signs. Over the past year alone, Idaho has had to replace two of the 420 signs along U.S. Highway 95 just south of Coeur d’Alene, and officials worried the rate of thefts could worsen. The number “420” has long been a popular subculture code for marijuana, though there are differing explanations for why. In Washington, where voters legalized pot in 2012, state crews had struggled for years with the loss of milepost 420 signs on the two highways that extend that far, state Route 20 and U.S. 12. Both reach their 420th in-state mile just before the Idaho state line. The mile marker along Highway 20, located near Newport, was replaced with a 419.9 sign nearly three years ago, state Transportation Department spokesman Al Gilson said. The other, which should be located along U.S. Highway 12 in Asotin County, currently is missing – again. Washington and Idaho are among just a handful of states with highways that extend at least 420 miles. Colorado changed its 420 signs along Interstate 70 to 419.99 last year and the theft problem evaporated. In Montana, milepost 420 along Interstate 90 also has the distinction of being the scene of one of the state’s largest pot busts. A car carrying 115 pounds of marijuana was pulled over at mile marker 420 and the hidden cache of vacuum-sealed marijuana packages was found after the trooper grew suspicious and called for a drug-sniffing dog, according to news reports.